In one month, the largest sporting event for the LGBTQ+ will rendezvous in Paris as the 10th edition of the Gay Games kicks off! This has been 5+ years in the making for the event organizers and all their hard work is coming up fast! Registration stayed open to July 4th and has topped out at 10,317 athletes registered, which is about 3,000 more athletes than the 2014 Gay Games Cleveland and about the same number as the 2010 Gay Games in Cologne. 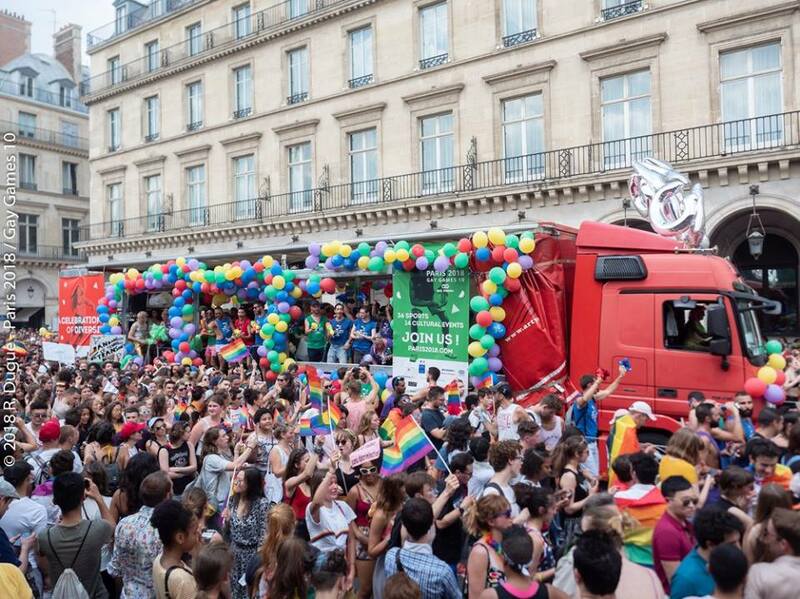 In between the 104 and 2018 Gay Games, LGBTQ+ sports have had many disastrous events that have put a lot of doubts and hesitation in people who were considering coming to Paris. The Paris 2018 host committee has certainly been working hard to ensure that the Paris 2018 Games will be successful and of high quality that us athletes should expect out of such a high-profile event. With 10,000+ registrations, it appears that their hard work will certainly pay off. Myself (Dirk) am looking forward to attending the event, competing in Swimming as well as reporting for Compete Magazine to share stories and meet athletes while also covering many of the events including opening/closing ceremonies, sports, parties and such. After my experiences at the disastrous 2015 Eurogames in Stockholm and the 2017 World Outgames in Miami, I am looking forward to having a positive story to report!